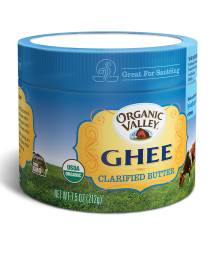 Ghee is a lactose-free, casein-free, and shelf-stable product. Purity Farms has been making ghee from Organic Valley butter for years, and when the original owners were looking to retire, they turned to us to keep the ghee flowing. Honoring a traditional Indian method, pure Organic Valley butter from our pasture-raised cows is slowly cooked to coax out the water and milk solids. What remains is delicious ghee with a rich buttery taste and aroma. Like you, we care about how our food is raised, how it tastes and how healthy it is for all living things. Organic Valley Purity Farms Ghee is a delightful, semi-soft cooking oil from nature's kitchen—great for cooking, baking or sauteing. 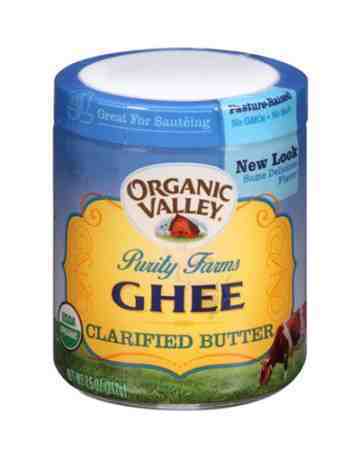 Organic Valley Purity Farms Ghee is perfect for high-temperature cooking, like sautéing, and is a mainstay of many culinary traditions around the world. 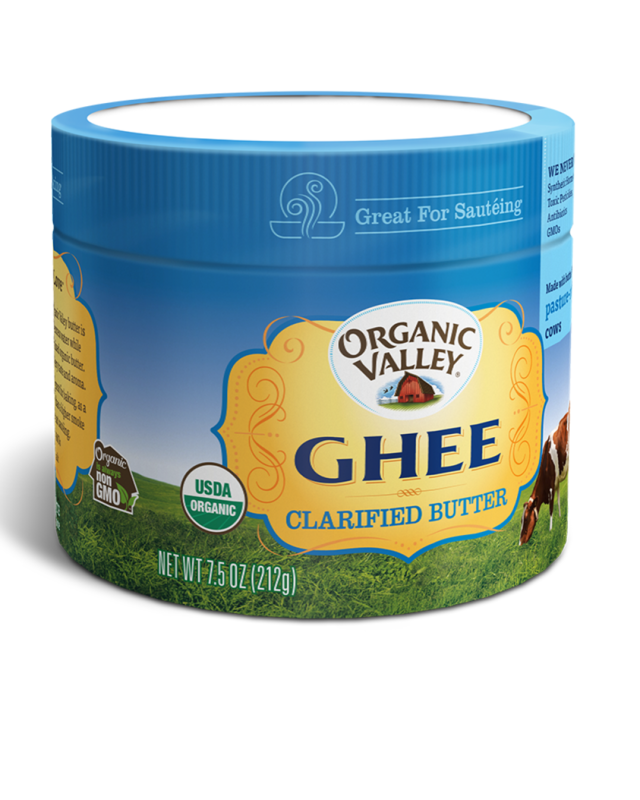 Ghee may be used instead of butter in baking; however, keep in mind ghee's lower moisture content when mixing ingredients.